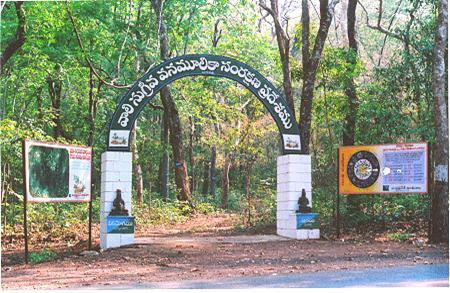 The Maredumilli Forests of East Godavari District are having rich biodiversity and the area is having semi evergreen forests with undulating terrain, which forms part of the Eastern Ghats. 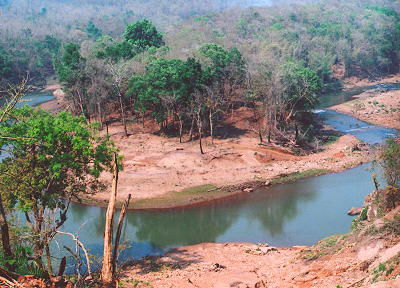 The area is planted with exotics brought from Western ghats and Orissa. Local species which are having medicinal value were also planted here. 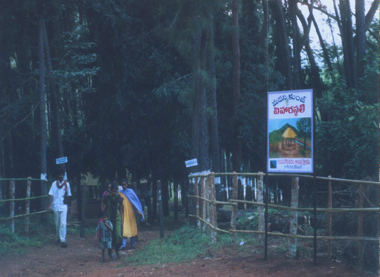 Adjoining this area is “Karthika Vanam” with plenty of Maredu and Amla (Usiri) trees. This area is an undulating terrain with an extent of 260 Ha. So far 203 plant species including medicinal and rare plants were identified in this area. An open laboratory to the Botanists and Research scholors. 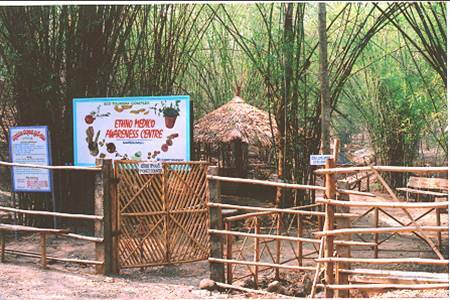 The Maredumilli Community Conservation & Eco-Tourism Area is situated on Maredumilli–Bhadrachalam road, nearly 4 Km. away from Maredumilli village. 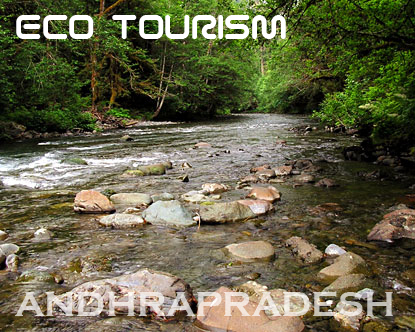 The area is having many streams flowing over the undulating rocks in the deep woods and any visitor feel thrilling experience in the Nature. 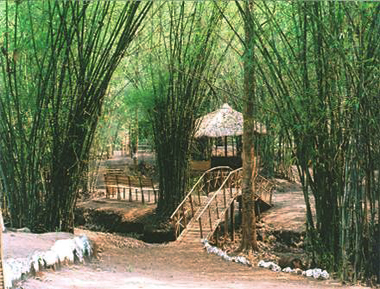 It is a picnic place with Pine Plants and Golden Bamboo clumps. 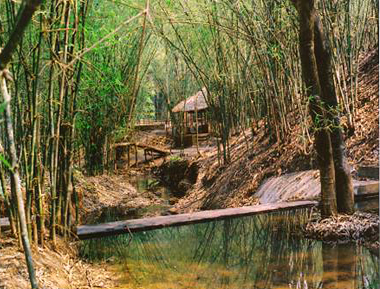 Visiting the Eco-tourism area, there is chance to view wild animals like Tiger, Panther, Bison, Peacocks, Red jungle fowl and other bird life in addition to varieties of Butterflies. 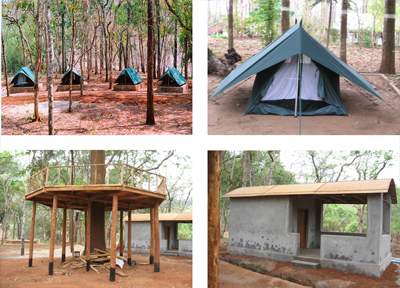 Jungle Star camping site provides an unique opportunity to stay overnight in the deep woods of the unexplored eastern ghats. 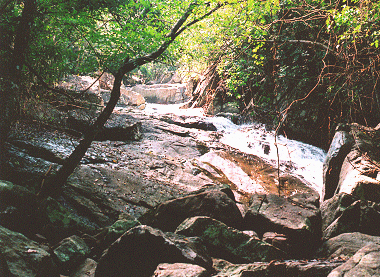 This is located adjoining the Valamuru river with the stream flowing on 3 sides overlooking the Vali-Sugriva Konda which is believed to be the battle ground of the Vali-Sugriva during the Ramayana period. The remarkable variation of the battleground with the presence of grass land, encircled by forests on the other hillocks makes the visitor to pay attention on the legendary story. 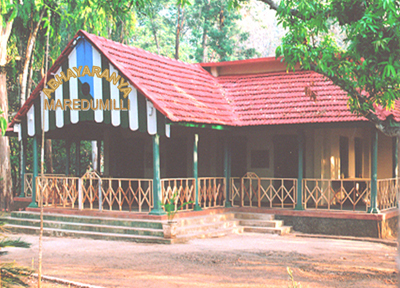 Constructed in the year 1914, the Forest Rest House is in Maredumilli Village with all facilities. 2 VIP & 3 Other Suits are available here to stay for Tourists. Take entry tickets at appropriate places. Keep the eco-tourism area surroundings clean. Smoking & Drinking strictly prohibited.